It's Top Five Wednesday time again! Top Five Wednesday is a weekly meme hosted by Lainey over at GingerReadsLainey and you can check out the complete list of Wednesday-ers here. 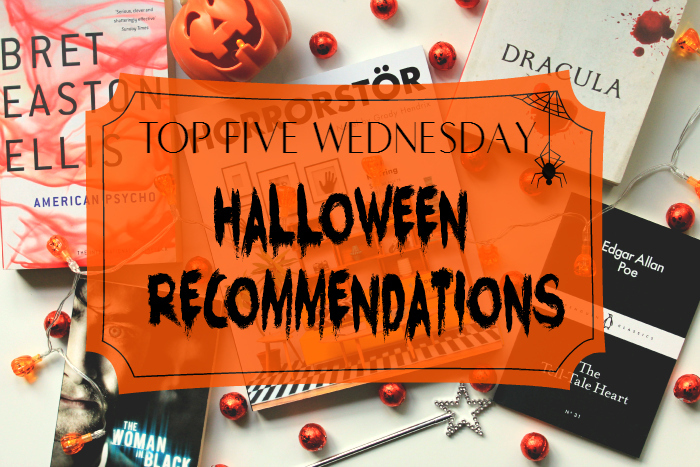 This week's topic is celebrating the season with 'Halloween recommendations'. I haven't read very many books that really scared me so I just chose a handful of books that I've read that are creepy or a little spooky. All of these books are perfect Halloween reads and some of them will probably have you sleeping with the lights on. 01. American Psycho by Bret Easton Ellis. This isn't so much scary as downright disturbing. I don't really love this book, purely because it really kind of disgusts me, but I guess that's the point. I have a very strong stomach and I'm not shocked easily but whilst reading this there were times when I had to just put the book down and walk away and remember that there are still good things in the world. It is really excellently written and will probably freak you out so I'd recommend it if you think you can handle it! 02. Horrorstör by Grady Henrix. This is a very recent purchase and I haven't quite finished it yet as I'm gradually reading it over Halloween week, but what I've read so far has creeped me out quite a lot. It's a terrifying tale set in an Ikea-esque furniture store where strange goings on have been happening whilst the store is closed, so several employees are tasked with spending the night at the store to investigate - creepiness ensues. This book is really clever and I absolutely love that it's designed to look like a furniture catalogue with just small hints of terror. 03. Dracula by Bram Stoker. This is probably the original Halloween classic so I don't think I need to explain what it's about. I won't say too much here as I'll be reviewing it for the 2015 Classics Challenge later this week, but I'm really enjoying it so far and it's surprisingly very readable and engaging! 04. The Tell-Tale Heart by Edgar Allen Poe. This little book is part of the Penguin Little Black Classics collection and it's definitely worth the 80p. It's a small collection of Poe's short stories and it's perfect for a quick read before bed on a dark, stormy night. These stories are all I've read of Poe's work and it definitely had me intrigued and eager for more creepiness. 05. The Woman in Black by Susan Hill. You're probably familiar with the film, which I found genuinely terrifying, but you might not have read the book it was based on. 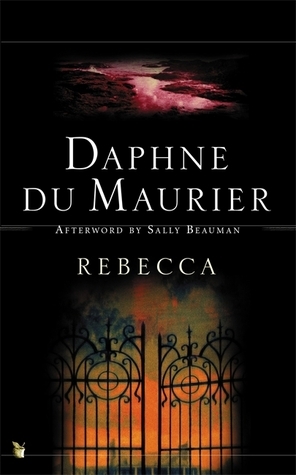 The book is quite different from the film and although whilst reading it didn't seem quite as chilling, I found that afterwards I couldn't stop thinking about it and I did actually have to sleep with the lights on as I was jumping at every creak outside my door. This is relatively short too - so great if you're looking for something quick this Halloween! 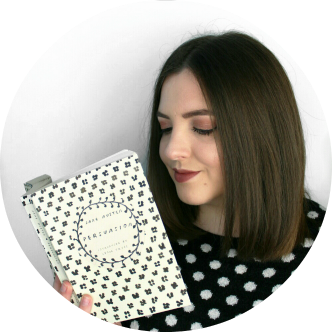 Those are my top five Halloween book recommendations! I'm looking forward to finishing up Horrorstör this week as my creepy read but I might not be reading it too late at night! What are your top book picks for Halloween?